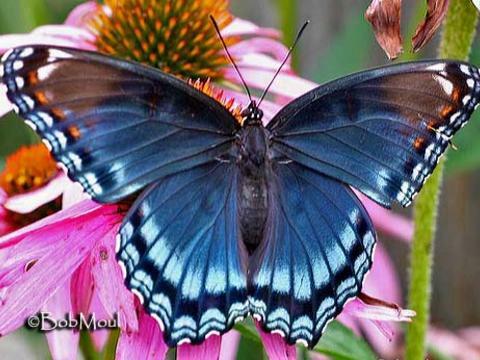 The white admiral or red-spotted purple (Limenitis arthemis) is a polytypic species of North American brush-footed butterfly, common throughout much of the eastern United States. 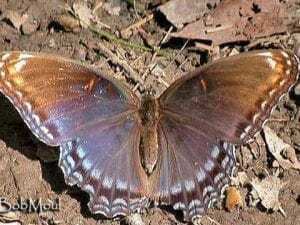 L. a. astyanax has red spots on its underside and the top of the wings are notable for their iridescent blue markings. L. a. arthemis on the other hand has a large white band traversing both the forewings and hindwings.